After some technical difficulties plagued the early stages of this tour, Kanye finally rolled into Brooklyn for a four night New York city run. Yet even before Mr. West took the stage, New York's own A Tribe Called Quest dazzled the borough for the first of their last two shows ever! Bewitching the audience with their classic rhymes, the trio ignited the crowd with their on point dance moves, verses and killer style. An immediate flashback to the golden age of hip hop, A Tribe were far from the caliber one would expect from an opener and instead acted as if they were headlining the night. And in a small way they did just that. For many raised on hip hop, there is no greater group that A Tribe Called Quest. Their fusion of jazz and alternative hip hop forever left a mark on the community and without a doubt, laid the path for many of today's superstars. The highlight of their opening slot came with the back-to-back-to-back combination of "Scenario" (complete with a cameo from Busta Rhymes!! ), "Can I Kick It?" and "Check The Rhyme" which many will argue is the greatest trifecta in their illustrious career. To catch them for one of the last times was truly a privilege. Not to be outdone, Kanye put on what was perhaps the spectacle of the year. 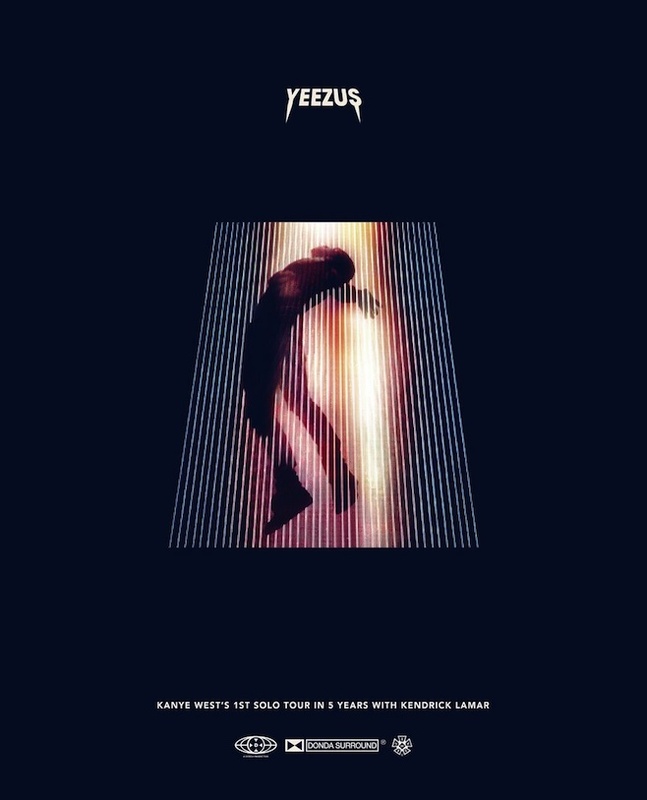 Backed by what can only be compared to the Super Mega Aggro Crag from Nickelodeon's Global Guts, Yeezus himself rose to the occasion to deliver one of the most spellbinding and hypnotizing displays of showmanship one could possibly imagine. Ego aside, there are not many other people on the planet that can deliver on this level. Kanye wants to be the celebrity and stops at nothing to achieve it. After welcoming an ensemble of extras to act as his followers, Ye spit through the majority of his recent Yeezus along with other smash singles "Clique", "Mercy" and "Cold" before annihilating the crowd through the power of his pageant. A mountain beast with glowing eyes, a snow storm, and a real-life Jesus were all no match for the power and magnitude that Kanye was able to display. A career spanning setlist only helped to remind the crowd that there is no other entertainer on the planet, let alone hip hop star, that is able to contain the excitement level and sheer genius capabilities of this man. The forever brilliant "Runaway" saw a much anticipated rant, in which he confirmed his love for Bey's "Single Ladies", his distaste for the fashion industry, and how Drake was the most deserved of this year's VMAs, and he pulled out all of the stops by busting through some of his most cherished hits. "Stronger", "Through the Wire", "Jesus Walks", and "Flashing Lights" saw the audience rise to new levels of admiration, and that was after a terrorizing rendition of "Blood on the Leaves", which he insisted no one even wanted to hear. Show, performance, extravaganza, what ever it is you want to call the Yeezus tour of 2013, one thing is for sure, you're not likely to see something on this level of entertainment and celebration any time soon. There are times when Kanye may be the most hated person on the planet, but his ability to put on a show has never been in question. If anything, this show challenges people to find someone even close to taking his crown.